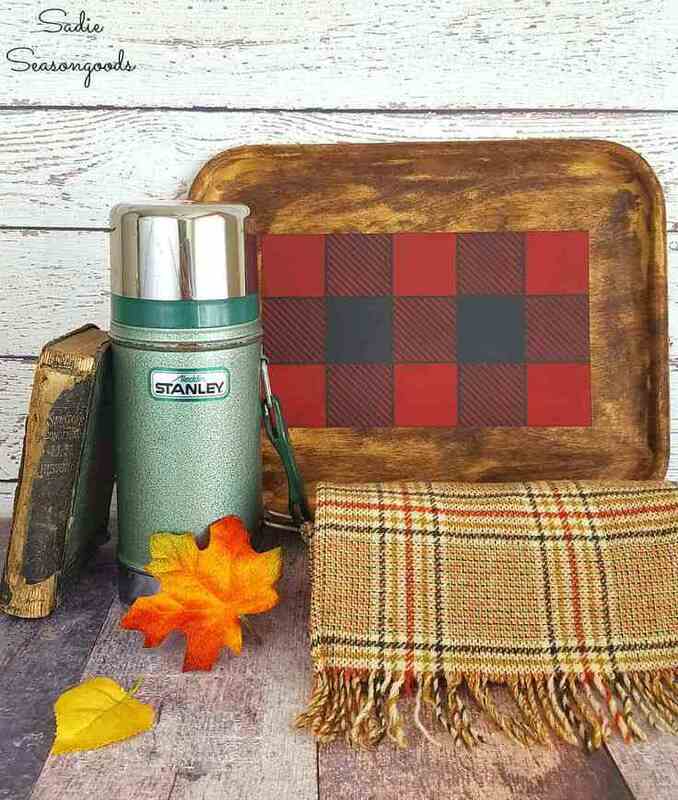 Buffalo check fabrics and patterns are trendy, especially for fall. 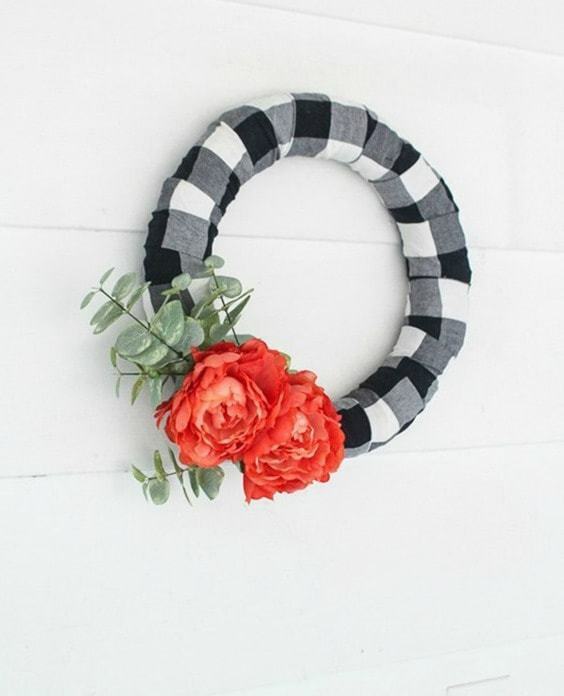 Learn how to make your own buffalo plaid decor using these easy DIY craft ideas. 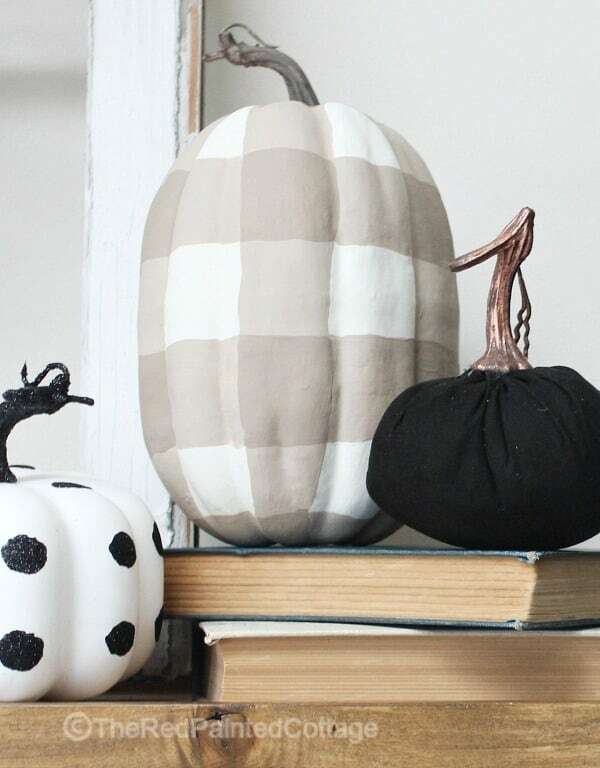 From pumpkins to pillows, there are so many ways you can easily incorporate buffalo plaid into your home decor this fall. 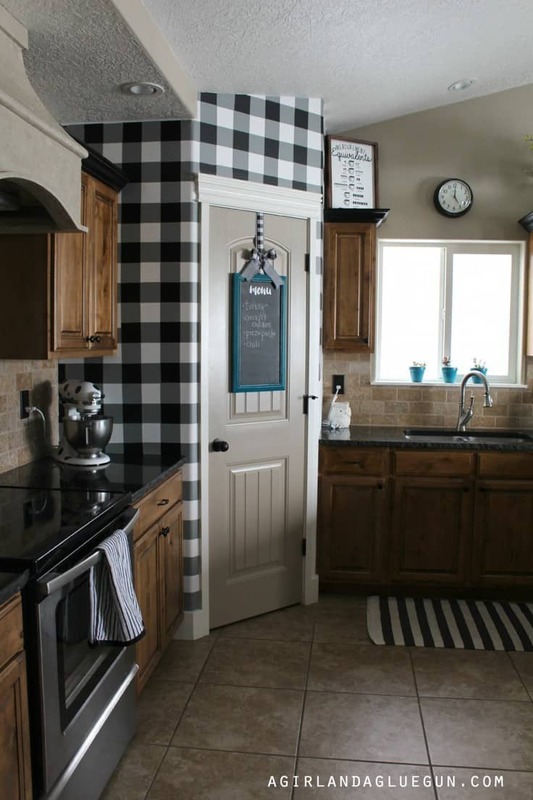 Today, we’re sharing 14 of the most clever and beautiful buffalo check ideas we could find to inspire you. There’s just something about the bold contrast between black and white or black and red, especially when it comes to fabrics and home decor. 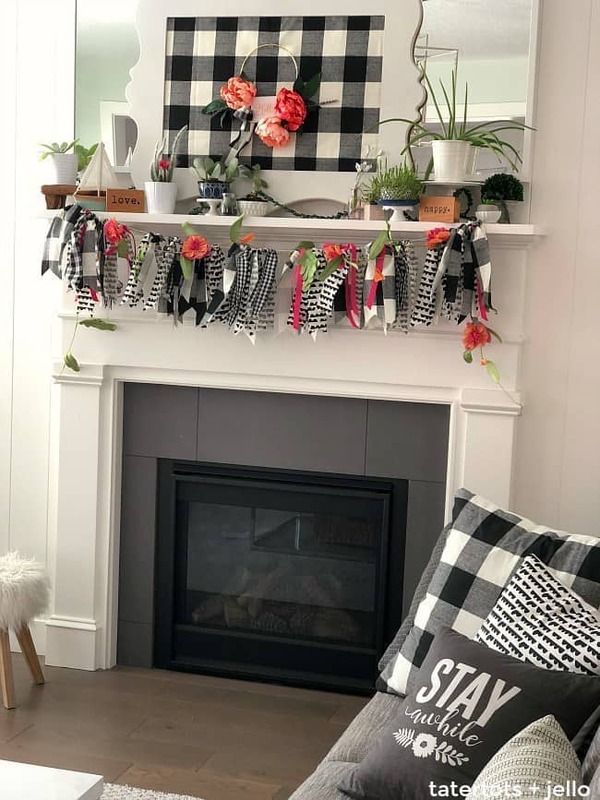 This must be why we and so many others are absolutely enamored with buffalo plaid decor and all the amazing and trendy home decor ideas circulating the web these days. If buffalo plaid or buffalo check is not a term you’re familiar with, let me fill you in. Basically buffalo plaid is a two colored fabric or pattern made up of even lines that crisscross to form large squares. Each square is completely equal in size. Where the lines cross over one another in the pattern, they combine to form lighter squares of the colors. Black is one of the colors found most often in buffalo check, but it’s not required. When people think of buffalo plaid, they usually think of black and white or black and red. 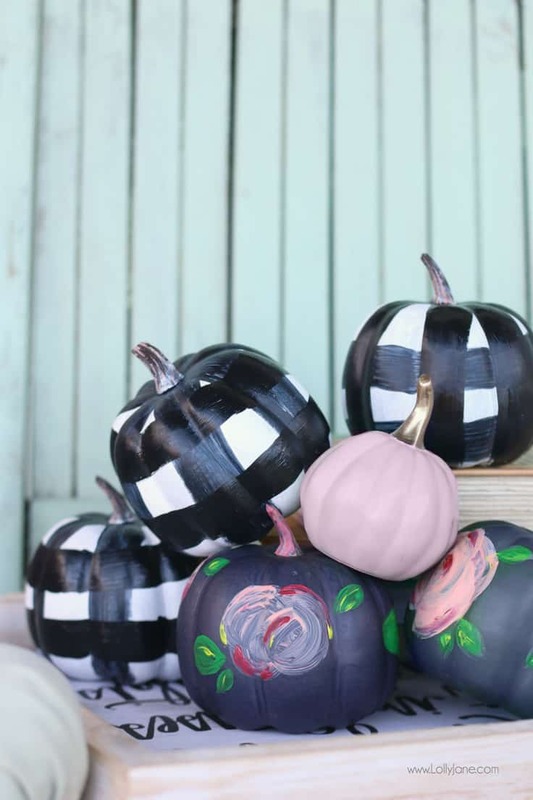 These color combos are especially popular for fall and Christmas holiday decorating. 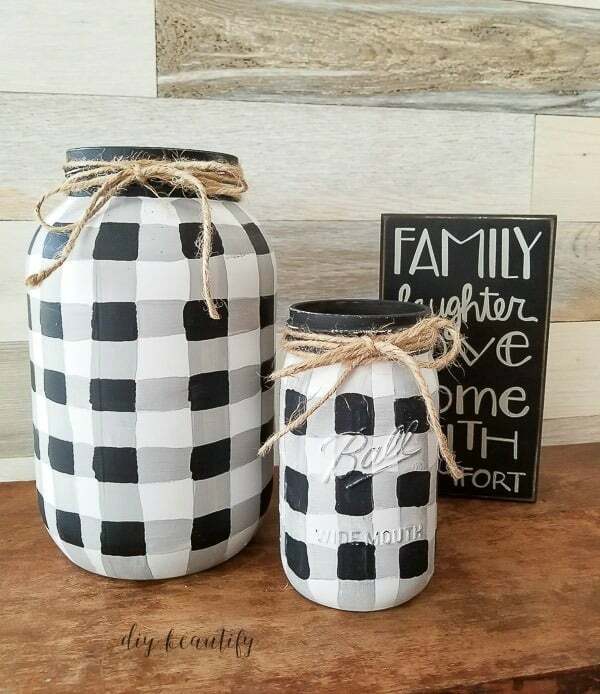 Sometimes though you’ll find buffalo check as a black and green, white with navy or just about any other color combo you can think of. What’s the Difference Between Buffalo Plaid and Gingham? Gingham is very similar to buffalo plaid in that it is created by intersecting lines of two different colors to form even sized squares. However, the difference is found in the size of the squares. Gingham checks are much smaller in size than buffalo check. 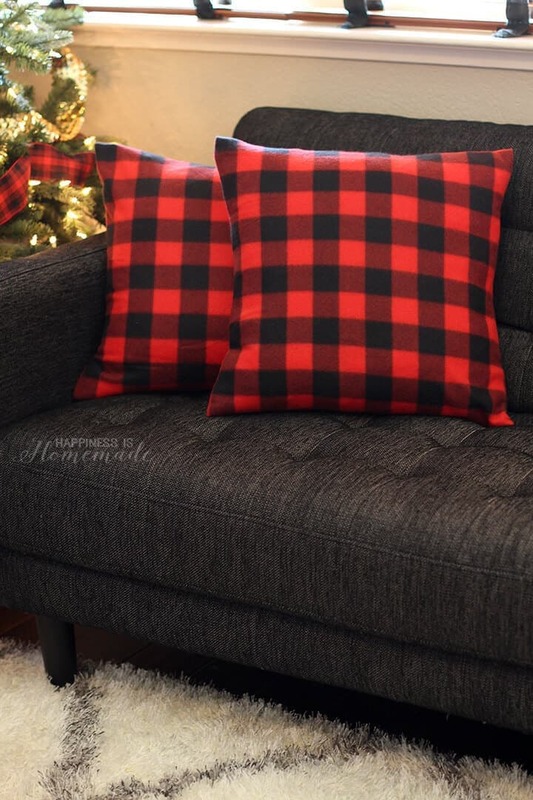 Buffalo plaid is found on all types of different fabrics, especially flannel or heavier fabrics for fall and winter decor. It is most frequently a combination of black plus another color. Gingham, however, is most often found on light-weight cotton and is usually a combination of white plus another bold color. 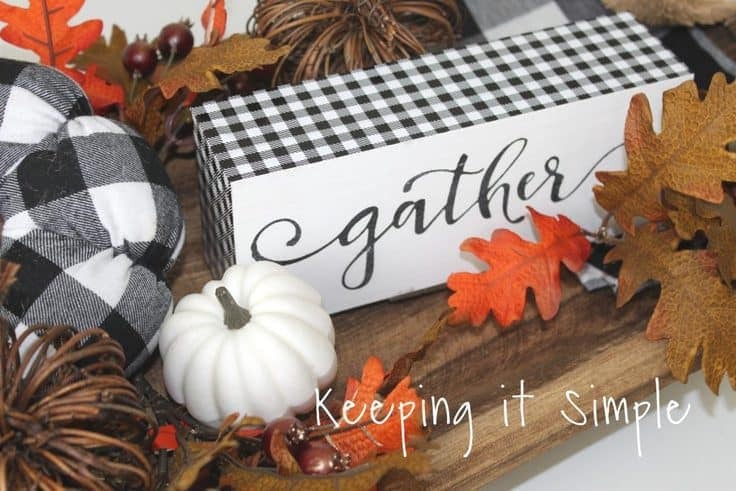 Red and white gingham is the most classic combination for this pattern. 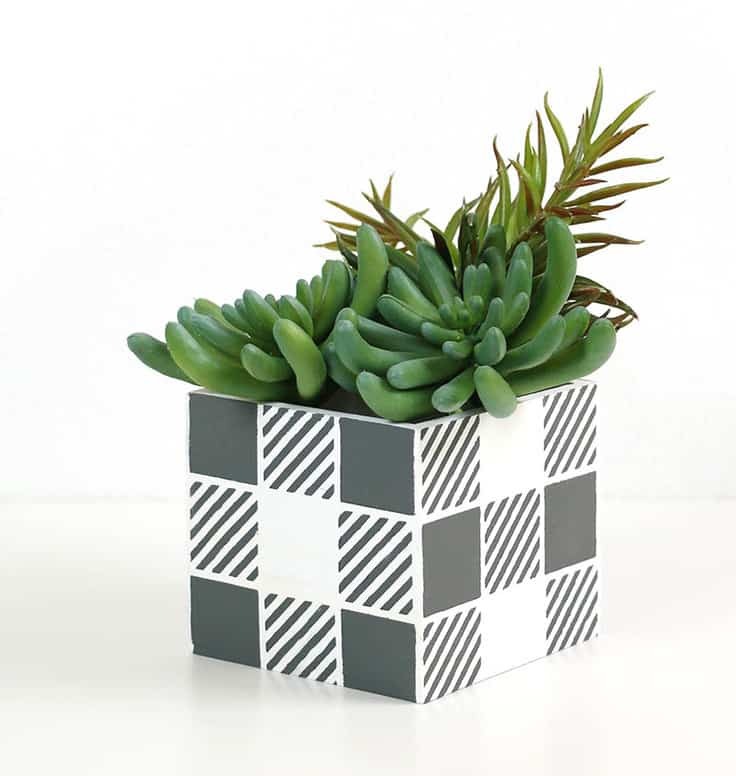 You see gingham patterns more often in spring and summer decor. So now that we know what buffalo plaid is and how to tell the difference between buffalo check vs. gingham, let’s take a look at the craft ideas we’ve gathered. 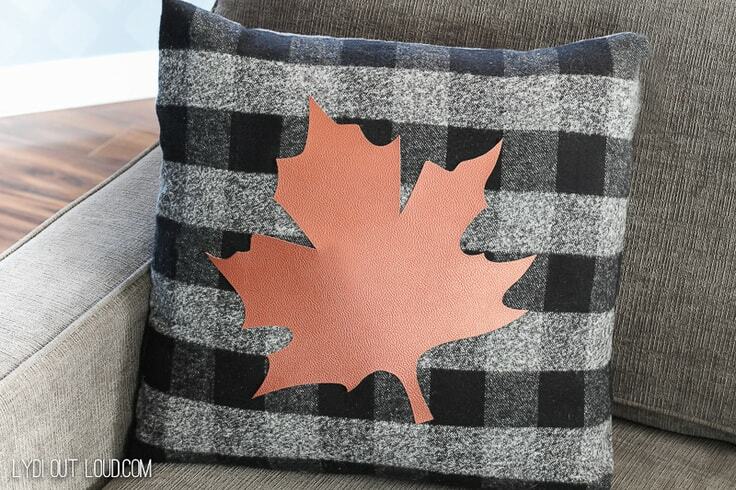 We looked far and wide to find the absolute best buffalo plaid decor ideas for fall. 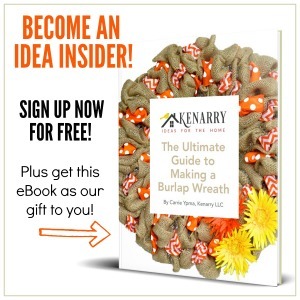 Each of these projects is budget-friendly and easy to make yourself. 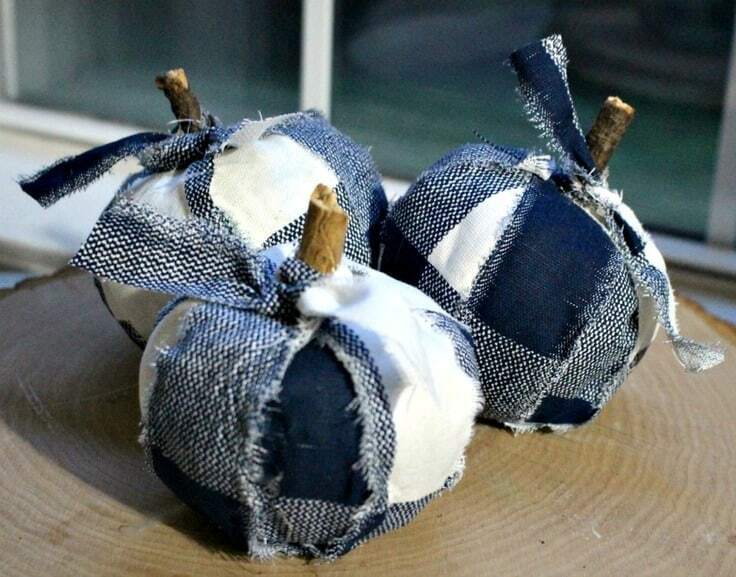 To get the tutorials for the buffalo plaid crafts, just click on the links or the images below. If you want to save any of these projects for later, please pin from the original source. The bloggers we’re featuring today worked hard on their projects and deserve all the credit. 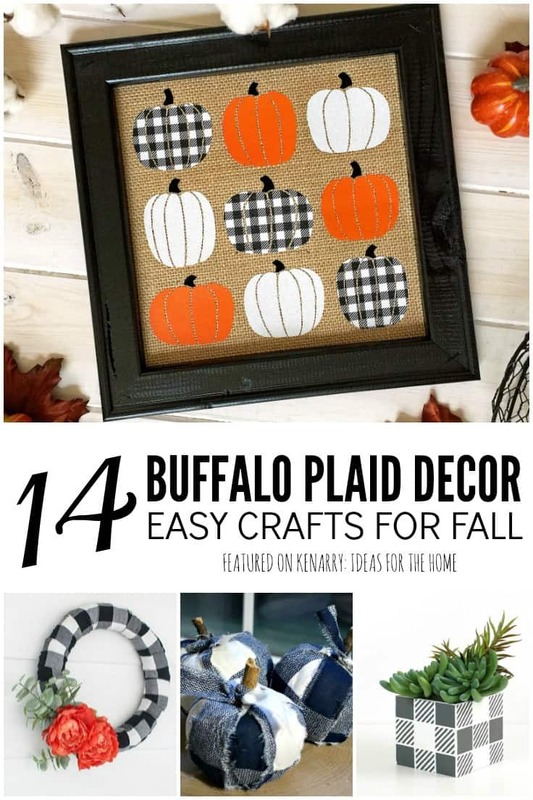 To save this entire collection of buffalo plaid decor ideas, you’ll find a collage image at the end of this post that you’re welcome to pin. 6. 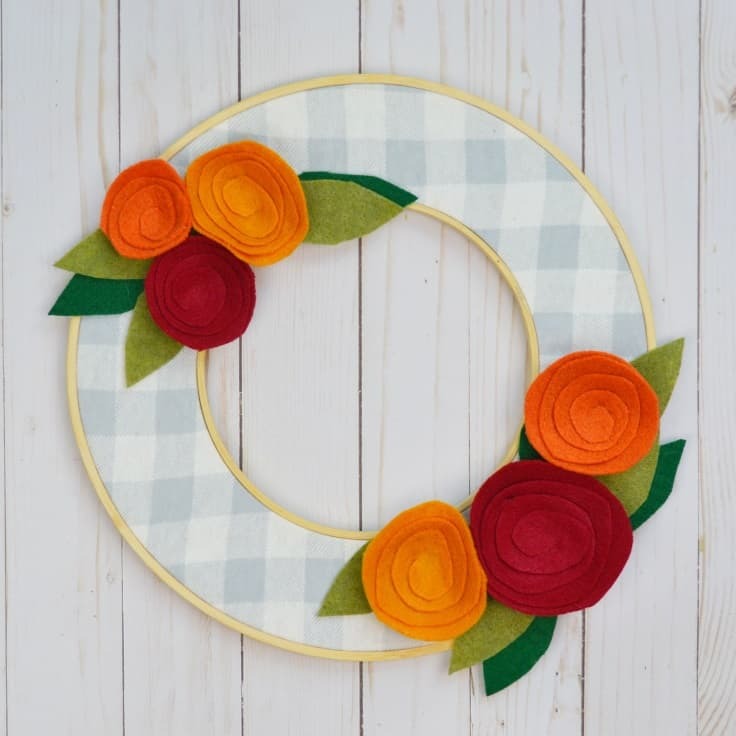 How to Make a Gorgeous Buffalo Plaid Farmhouse Wreath – Lovely Etc. 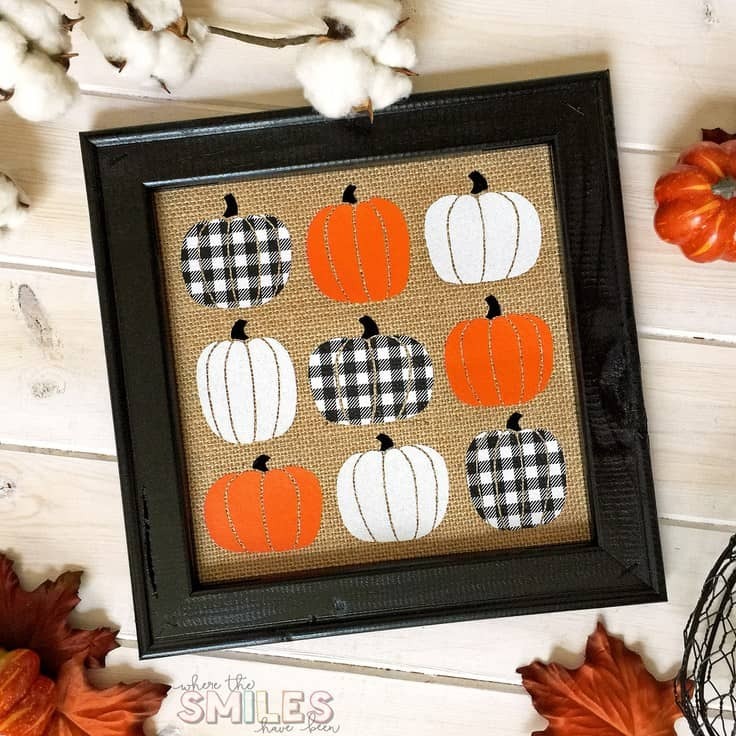 Carol, I love EVERYTHING about that buffalo plaid pumpkin! It’s so pretty. Love all of these, I can’t get enough buffalo check! 🙂 Thanks so much for sharing my pillow! Me too, Lydi! 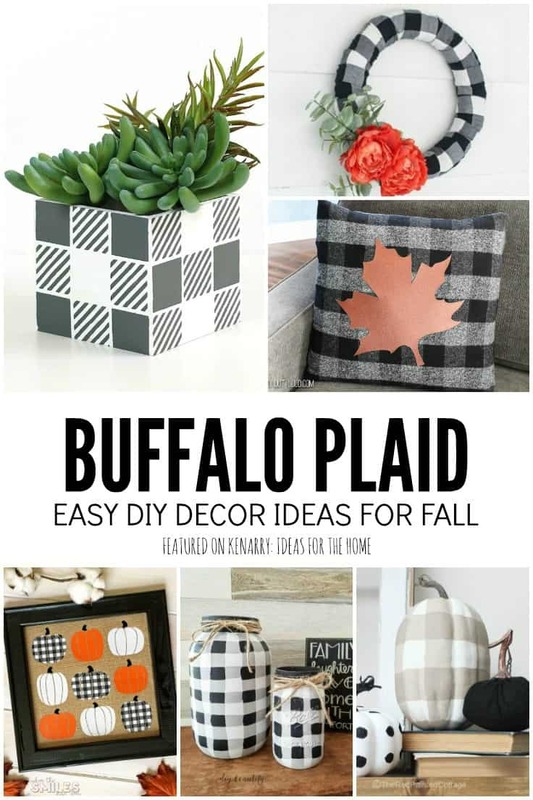 Putting together this round-up made me totally want to redecorate in ALL THINGS buffalo check — especially pillows! Thanks for allowing us to share yours.